Actress Debbie Reynolds passes away at age 84, one day after the death of her daughter Carrie Fisher. 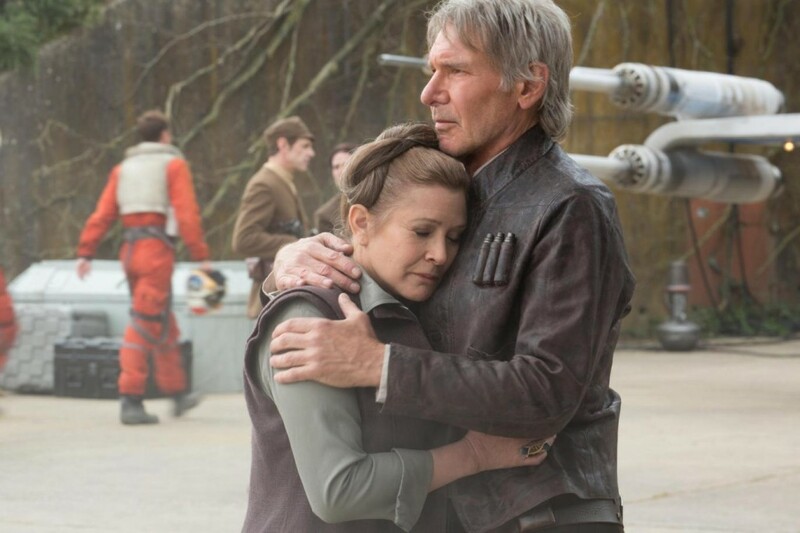 “Oscar-nominated star told her son ‘that she would like to be with Carrie again’, 15 minutes before she had a severe stroke”. The article below was written prior to the passing of Carrie Fisher’s mother Debbie Reynolds. There was always going to be a good deal of thick drama around Carrie Fisher, by her own confession, a product of Hollywood in-breeding. Her parents, Debbie Reynolds and the crooner Eddie Fisher, provided ample material for the gossip columns in a marriage breakup after Eddie sped away with Elizabeth Taylor. This was the background of an “unfilmable Dynasty”, one featuring “blue-blooded white trash”, mother’s milk for American curiosity. At 15, Fisher, having dropped out of high school, was already working alongside Reynolds in the 1973 Broadway revival of Irene as a chorus girl. Then came her movie debut in Shampoo. There were to be busy years ahead, sharpened by training obtained at London’s Central School of Speech and Drama. Few other single cinematic events have sealed the recognition of one actor. With Star Wars (1977), which was merely episode four (subsequently titled with some bombast Star Wars Episode IV: A New Hope) of the Lucas bonanza, Fisher was dissolved in the blaze of white and parted hair, touched off with bun spirals. 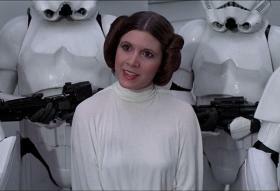 There was only Princess Leia Organa, member of the Imperial senate, leader of Alderaan, and, of course, resistance leader. Her opening monologue on Saturday Night Live, when she hosted it in 1978, is filled with biting self-deprecation. There are stabs at the Star Wars lingo. She is suitably attired. The wheels of showbiz do turn at various speeds, but they do to the tunes of muddling fiction. Star Wars, for all its cultural clout over the years, remains the space variant of High Noon. Unlike other Hollywood figures trapped at the surface, Fisher had several strings to her extensive bow. For one, she could write with penetrating self-examination. The semi-autobiographical Postcards From the Edge (1987) sold well, and the theme was familiar – struggling thespian, overdose, and the restoration efforts. Her memoir, Wishful Drinking(2008), had most things (manic depression, drug abuse, the death of a good friend from an overdose on painkillers beside her) other than drinking, but was a suitably wicked account she converted to a successful stage act. With that velocity of being, she also managed to carve out a field of advocacy which shed her cinematic skin, probing the taboos of mental health, notably in an environment indifferent and remorseless to the casualties of the mind. While the Daily Mail proved with characteristic life-imitating-art idiocy that this was always difficult (“Princess Leia dead at 60” went its headline), others preferred the Fisher of mental health activism. Even there, she could be witty with the very idea that she had been named Bipolar Woman of the Year. After suffering a manic episode in 2013, one which found its way to social media, that new grinder of reputations and souls, she was ready with the response. “My medication had a little problem with itself. It’s a balance, and I went out of balance in public.” Sharp to the last.